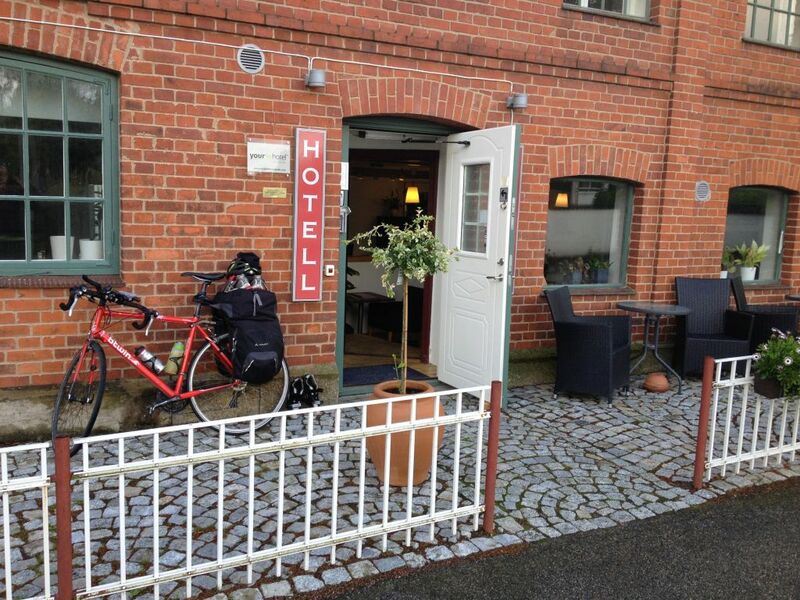 Today is a rest day, I’m taking a ferry from Travemunde to Trelleborg Sweden. To get to the ferry I cycled 20 km to the Skandinavienkai in Travemunde to catch the ferry. The ferry left at 10:00 sharp, heading through the narrow canal with full view of the Travemunde city, after 20 minutes the ferry will reach the Baltic Sea. The Ferry I’m on today is named Peter Pan – the ferry ride is 7 hours and 45 minutes. The last two days have beaten up my stamina a bit, on the ride to the ferry – I felt irritable that is sign that I have pushed my self and do not have that level of strength at the moment, I will spend todays time on the ferry wisely, have a beer or two to get some calories into the body, eat as much as I can from the buffet, when the beer kicks in have a nap to rest my body for the next phase of my journey. The ride is very bumpy – very strong winds at parts of the journey, and the ship was rolling – the staff in the restaurant was surprised – they were talking about one sequence of ship roll where you looked out one window and only saw sky and the other you did not see the sky, this brings me back to the childhood, at one family trip to Aland Islands we experience the same thing – that was in the 1970 when ships did not necessarily have technology to adjust against waves and winds. I’m just found a nice chair, I’m going to nap now. I woke up to the announcement that we were arriving in Trelleborg, people got down to the car deck, me to as I had left my bike there. We waited for over an 1 hour – tills we were informed that there was a problem with the side ramp for cars, there was a solution, they had to empty the bottom truck deck and then inside they lowered a section that allowed us to get out through the main exit of the ferry. I’m there now, settling in for the night.